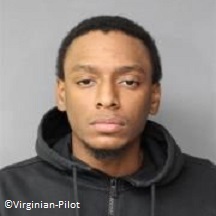 Lionel Nelson Williams was an American citizen who pled guilty in August 2017 to attempting to provide material support to ISIS.Scott Daugherty, “Suffolk man who wanted to be a martyr pleads guilty to trying to aid the Islamic State,” Virginian-Pilot, August 16, 2017, https://pilotonline.com/news/local/crime/article_495d7307-8723-5815-914f-af098c88d1fe.html. Williams was reported to authorities in March 2016 for online posts that he made in support of the group. Williams later attempted to send money to individuals that he believed were ISIS fundraisers in order to finance the purchase of weapons and ammunition for the group. He was arrested in December 2016 following comments that he made suggesting that he was planning to carry out a domestic terror attack in the near future.“Affidavit in Support of an Application for a Criminal Complaint,” U.S. Department of Justice, December 22, 2015, https://www.justice.gov/opa/press-release/file/920321/download. Williams was sentenced to 20 years in prison following his guilty plea.Scott Daugherty, “Would-be terrorist from Suffolk sentenced to 20 years for supporting Islamic State,” Virginian-Pilot, December 20, 2017, https://pilotonline.com/news/local/crime/article_06e7fe04-8f4e-5578-8cb4-7f115aa1271d.html. In 2014, Williams reportedly began sharing articles and videos about ISIS with an acquaintance from high school.Scott Daugherty, “Would-be terrorist from Suffolk sentenced to 20 years for supporting Islamic State,” Virginian-Pilot, December 20, 2017, https://pilotonline.com/news/local/crime/article_06e7fe04-8f4e-5578-8cb4-7f115aa1271d.html. On the day following the December 2015 terror attack in San Bernardino, California, Williams ordered an assault rifle, which he kept on his bedroom dresser. According to reports from neighbors, Williams conducted target practice in a field near his home beginning in early 2016. During this time, Williams was also active on Facebook, where he posted ISIS propaganda videos and lecture videos by al-Qaeda in the Arabian Peninsula propagandist Anwar al-Awlaki, as well as a pledge of allegiance to ISIS and comments expressing his support for attacks against security personnel.“Affidavit in Support of an Application for a Criminal Complaint,” U.S. Department of Justice, December 22, 2015, https://www.justice.gov/opa/press-release/file/920321/download. In March 2016, an acquaintance reported Williams to authorities for his online posts. The following month, an undercover FBI operative made contact with Williams over Facebook, and the two met in person in June. During their meeting, Williams state that he supported attacks on security targets. In September, Williams agreed to contribute money to fund ISIS fighters in Mosul, Iraq. On October 10, 2016, Williams provided his account information to an individual that he believed was an ISIS fundraiser. On November 3, 2016, Williams sent 50 dollars via an electronic transfer service to another individual that he believed was an ISIS facilitator based in the Middle East, though in reality, the money was seized by the U.S. government. In both cases, Williams believed that his money would be used to finance the purchase of weapons and ammunition for ISIS.“Affidavit in Support of an Application for a Criminal Complaint,” U.S. Department of Justice, December 22, 2015, https://www.justice.gov/opa/press-release/file/920321/download. Williams also spoke of his desire to carry out a martyrdom operation. In December 2016, Williams stated to another individual that “it [would] be soon,” and began discussing his plans to get rid of his money before his intended death. Williams was arrested by FBI agents on December 21 and charged with attempting to provide material support to ISIS.“Affidavit in Support of an Application for a Criminal Complaint,” U.S. Department of Justice, December 22, 2015, https://www.justice.gov/opa/press-release/file/920321/download. On August 16, 2017, Williams pled guilty to attempting to provide material support to ISIS.Scott Daugherty, “Suffolk man who wanted to be a martyr pleads guilty to trying to aid the Islamic State,” Virginian-Pilot, August 16, 2017, https://pilotonline.com/news/local/crime/article_495d7307-8723-5815-914f-af098c88d1fe.html. On December 20, 2017, Williams was sentenced to 20 years in prison. According to prosecutors, although he had been in custody for nearly a year at the time, he had not disavowed the radical ideology that had motivated his actions.Scott Daugherty, “Would-be terrorist from Suffolk sentenced to 20 years for supporting Islamic State,” Virginian-Pilot, December 20, 2017, https://pilotonline.com/news/local/crime/article_06e7fe04-8f4e-5578-8cb4-7f115aa1271d.html. Harun Ash-ShababiScott Daugherty, “Suffolk man who wanted to be a martyr pleads guilty to trying to aid the Islamic State,” Virginian-Pilot, August 16, 2017, https://pilotonline.com/news/local/crime/article_495d7307-8723-5815-914f-af098c88d1fe.html. “In’shaa’Allah it will be very soon. I’ve been preparing…After I marry and acquire all my tools…I’ll be going for in’shaa’Allah, with or without…[T]he next time I see [my intended wife] will be in Jannah [heaven], in’shaa’Allah.”“Affidavit in Support of an Application for a Criminal Complaint,” U.S. Department of Justice, December 22, 2015, https://www.justice.gov/opa/press-release/file/920321/download. “I am getting very excited. Indeed to do this for my Deen [Mujahideen] and my umma [Muslim nation].”“Affidavit in Support of an Application for a Criminal Complaint,” U.S. Department of Justice, December 22, 2015, https://www.justice.gov/opa/press-release/file/920321/download. “The advent of Dawlah [the Islamic State] really gave my life a place and a purpose. It’s a home and example for the ummah [Muslim nation].”“Affidavit in Support of an Application for a Criminal Complaint,” U.S. Department of Justice, December 22, 2015, https://www.justice.gov/opa/press-release/file/920321/download. “They [the kufar] don’t think I’m a threat, but I am a threat.”“Affidavit in Support of an Application for a Criminal Complaint,” U.S. Department of Justice, December 22, 2015, https://www.justice.gov/opa/press-release/file/920321/download. “I can’t wait for the day that the black flag of Islam exists all over Maryland, D.C., Virginia, and Chicago.”“Affidavit in Support of an Application for a Criminal Complaint,” U.S. Department of Justice, December 22, 2015, https://www.justice.gov/opa/press-release/file/920321/download. “I love this video. I love the Mujahideen. Youtube/Facebook had the gall to delete it sometime ago, but somehow it’s been remade/reuploaded. Allahu Akhbar!”“Affidavit in Support of an Application for a Criminal Complaint,” U.S. Department of Justice, December 22, 2015, https://www.justice.gov/opa/press-release/file/920321/download. “The jihad doesn’t end just because it stops feeling good.”“Affidavit in Support of an Application for a Criminal Complaint,” U.S. Department of Justice, December 22, 2015, https://www.justice.gov/opa/press-release/file/920321/download.